Dr Suharsha Kanathigoda is the Director of Palliative Care in the ACT & a Senior Staff Specialist in Palliative Medicine at Calvary Health Care & Clare Holland House. He is the clinical lead for Clare Holland House (the only in patient Palliative Care Unit in the ACT & surrounding areas in NSW), the Renal Supportive Care Service, the Motor Neuron Disease Service & the Aboriginal Palliative Care Service in the ACT. He is also a Senior Clinical Lecturer at the ANU. He is the Deputy Chair of the Royal Australasian College of Physicians NSW/ ACT & an examiner for the RACP & RACGP. He is also the Founder & Chairman of Shanthi Foundation Australia which is an Australian registered charity, developing & propagating Palliative Care throughout the world, especially in developing countries such as Sri Lanka & India, which is building Sri Lanka’s first Palliative Care Centre/Hospital. He had a distinguished career at Royal College Colombo, becoming the School Captain (Head Prefect) in 1987 & winning the coveted Donhorst Memorial Prize awarded to the best all round student of the college in the same year. 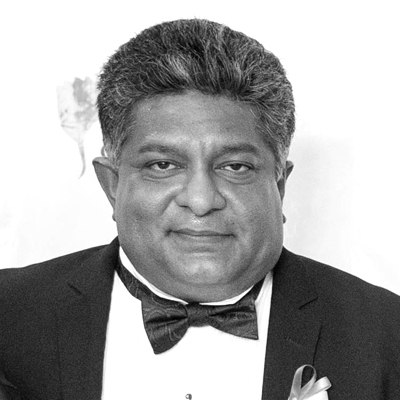 He has been the recipient of many awards including a Presidential Award for services rendered to develop Palliative Care in Sri Lanka & is the Patron of the Palliative Care Association of Sri Lanka.